PHOENIX REAL ESTATE – CAN I TAKE OVER A SELLER’S LOAN? Traditionally, when you buy a home, you apply for a mortgage through a lender, find a home for sale, and use a combination of your down payment and the loan amount to purchase the home. It is a tried and true method, but what if you want to skip the buying and selling process and simply take over another homeowner’s loan? With certain loans you may be able to do that, but there is a lot to consider before assuming a loan. “In days long past, some mortgages were fully assumable with no qualifying required by the new borrowers at all,” said Ron Bork, senior loan officer for EverBank. Today, things are different. “Conventional mortgages are typically not assumable,” he said. Some government-backed loans, such as Federal Housing Authority loans, are assumable, but you will have to meet the lender’s requirements and you may have to “come up with the difference between the existing balance and the purchase price,” Bork said. You should start by comparing the loan amount to the value of the home. “The balance of the loan needs to match up with the amount available for the remainder of the purchase price,” Bork said. Otherwise, you will have to pay to cover the difference. You should also consider the current interest rates. If the interest rate on the assumed loan is close to or lower than current interest rates, it may make sense to assume it. If the interest rate is much higher, you may end up paying more in the long run. Finally, make sure you completely understand the terms of the loan. Is the interest rateadjustable? Are there any surprise fees or balloon payments? Don’t take on a loan unless you know the terms. When you take over a loan, “Lenders will undoubtedly use the same underwriting guidelines that they normally do,” Bork said. Meaning, you will have to be able to qualify for the loan before you can take it over. 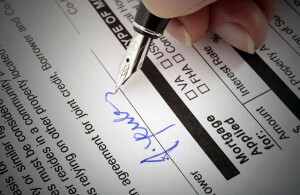 The lender will look at your credit history and scores. While different lenders have different requirements for credit, having good scores with no delinquent accounts will give you the highest chance of approval. Lenders will also look at your income and debt-to-income ratio. If you are carrying too many other debts, or if your income isn’t high enough to safely cover the mortgage payments every month, you may not be approved to take over the loan. If you co-own a property with someone else, you may not need to go through the process of assuming the loan. For example, if you and your spouse get a divorce, you can continue to live in the home and make payments as long as your name is on the loan and title before the divorce. If you co-own a home with a spouse or family member and that person passes away, you may also be able to simply keep the loan and home the way they are. However, ask an attorney or lender to look over the documents and facts with you to make sure.